With Saks and Barney's and Neiman Marcus (and Nordstrom and Sephora newsletters via e-mail), I'm starting to lose track of beauty events. How we manage to live in this overabundance of information and temptation, I will never know. That said, I have a pretty fantastic Neimans sales associate (shout out to Traci!) who reminds me of these things, and my local Neimans mercifully got most of the Holiday collections in before the InCircle event. I purchased enough for a Chanel and Le Metier de Beaute GWP. 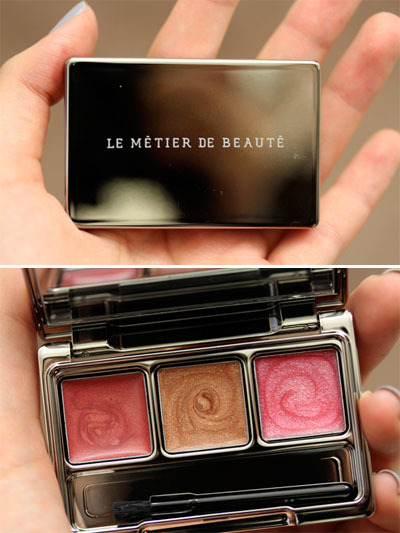 Neither are really anything to shout about, but I thought I'd show you the Le Metier one in case you were interested. InCircle runs till this Sunday. Also, a chance to feature Boston talent! I had my first makeover from Shawn Kelly of the Boston Le Metier de Beaute Neiman Marcus counter and now I want everyone to have one. 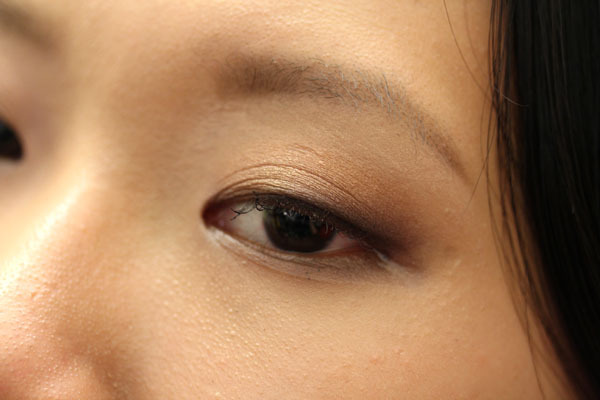 Ginger Lily Creme Fresh Tint with Echo dusted on top for cheeks. Peau Vierge #2 for skin. Mixture of Cafe Creme and La Belle lip gloss. Slightly faded. If you don't have a Neiman Marcus store near you, you can give my fabulous sales associate Traci Dastou a call at 617-536-3660 x2111 and tell her Xiao from Messy Wands sent you. Just today she managed to track down the elusive (it's sold out everywhere) new Chanel foundation brush for me by promising away her firstborn child. Also she totally doesn't judge me for being there three times a week. Um. I hope. If you live near Boston, do make an appointment with Shawn. He takes his time with your make up, and I've had my fair share of bad experiences at beauty counters to know that artists who thrive on details are gems. It looks so beautiful against your skin! Hi Xiao! I love your make over! I am very interested in trying out the Peau Vierge because I have been hearing so many good things about it. Unfortunately, I live in Singapore and there is no way I can try it out. I'm between a NC 30 to 35. In your opinion would I be better matched with #2 or #3? Thanks for your help. ahhh its so beautiful and looks so incredibly handy! 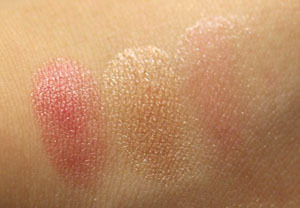 Since I'm not familiar with MAC shades, nor would I ever want to make you regret your purchase, I suggest taking a look at Karla Sugar's swatches of Peau Vierge: http://karlasugar.net/2011/04/le-metier-de-beaute-peau-vierge/ or calling Dustin at Bergdorf's (212-872-8612) for a shade match. If you're making a purchase, take a gander at their skincare as well. The cleanser, day/night cream and eye cream have changed lives, i've heard. Hey Xiao! Thanks for the link, Shade 2 looks like a good match, now to bring myself to fork out $125 for it. I bought the Dualistic Pencil in Champagne because of your post, I'm loving it so much. How is the formula of the lip cremes in this palette?